The following is a list of dry eye treatments that are commonly used by eye doctors to reduce the signs and symptoms of dry eyes. Your eye doctor may recommend only one of these dry eye treatments or a combination of treatments, depending on the cause(s) and severity of your condition. Also, some eye doctors will have you complete a questionnaire about your symptoms prior to initiating dry eye treatment. Your answers to this survey are then used as a baseline, and the questionnaire may be administered again after several weeks of treatment to evaluate the effectiveness of the chosen treatment approach. There are many brands of artificial tears that are available without a prescription. The challenge with using artificial tears is not lack of product availability — it's the confusing number of brands and formulations available to choose from. Artificial tears and other over-the-counter (OTC) lubricating eye drops are available in a wide variety of ingredients and viscosity ("thickness"). Artificial tears with low viscosity are "light" and watery. They often provide quick relief with little or no blurring of your vision when you apply them. But often their soothing effect is very short-lived, and sometimes you must use these drops very frequently to get adequate dry eye relief. If your eye doctor recommends that you use one or more brands or formulations of artificial tears, be sure to follow the directions he or she gives you concerning when and how often you use the drops. Also, do not substitute different brands from those your eye doctor recommends. Using a different brand or multiple brands of artificial tears will make it difficult to assess the success of the dry eye treatment your doctor recommended. Instead of OTC artificial tears (or in addition to them), your eye doctor might recommend daily use of a prescription eye drop called Restasis (Allergan) for your dry eye treatment. Restasis does more than simply lubricate the surface of your eye. It includes an agent that reduces inflammation associated with dry eye syndrome and helps your body produce more natural tears to keep your eyes moist, comfortable and healthy. It's important to know, however, that the therapeutic effect of Restasis is not immediate. You must use the drops daily for a minimum of 90 days to experience the full benefits of this dry eye treatment. A significant percentage of people who try Restasis will experience burning eyes early during the first few weeks of treatment. In July 2016, Shire announced it received FDA approval to market its new Xiidra (ZYE-druh) prescription eye drops for the treatment of dry eye in the United States. Xiidra, like Restasis, is aimed at reducing inflammation that is associated with the signs and symptoms of dry eyes. The safety and efficacy of Xiidra was studied in four placebo-controlled, 12-week clinical trials that included 1,181 people with dry eyes. Participants were evaluated for dry eye signs and symptoms just prior to starting use of the drops, then after two weeks, six weeks and 12 weeks of Xiidra use. In two of the four studies, participants noticed a significant reduction in dry eye symptoms after using Xiidra for two weeks. In all four studies, participants noticed a larger reduction in dryness symptoms after six weeks and 12 weeks of Xiidra use. Also, at 12 weeks, a statistically significant reduction in signs of dry eyes was found among Xiidra users compared with participants given a placebo in two of the four studies. The most common side effects of Xiidra reported in the studies were eye irritation, altered taste sensation and reduced visual acuity, which occurred in 5 to 25 percent of participants. The recommended dosage for Xiidra, like Restasis, is two applications in each eye per day, approximately 12 hours apart. Steroid eye drops are generally used short-term to quickly manage symptoms. They are often used in conjunction with artificial tears and Restasis, as a complement to these more long-term treatment strategies. While a small amount of the steroid may get absorbed systemically, in the right candidate, the effects of steroid eye drops are generally not noticed beyond the eye. Still, it's important to discuss your medical history with your eye doctor before starting steroid eye drops. Lacrisert (Bausch + Lomb) is a sterile, slow-release lubricant that is placed under the lower eye where the conjunctiva of the inside of the eyelid meets the conjunctiva of the eyeball (this location is called the inferior cul-de-sac of the eye). Lacrisert is a solid insert composed of a preservative-free lubricating agent (hydroxypropyl cellulose) that slowly liquefies over time, providing an all-day moistening effect. For most people with dry eyes, a single Lacrisert is applied once a day. The device has been proven to relieve dryness, burning, watery eyes, foreign body sensation, itching, light sensitivity and blurred vision, according to the company. Lacrisert typically is recommended for patients with moderate to severe dry eye symptoms, especially if dry eye treatment with artificial tears alone proves unsuccessful. If improperly placed in the inferior cul-de-sac of the eye, it's possible Lacrisert could cause a corneal abrasion. Also, Lacrisert may cause transient blurred vision, eye discomfort or irritation, matting or stickiness of eyelashes, red eyes and sensitivity to light. This drawing shows the lacrimal glands and tear ducts. A lacrimal plug (or punctal plug) has been inserted into the lower tear duct to keep the eye's moisture from draining away too quickly. Image: Oasis Medical, Inc. So where do the tears go? Usually they will simply evaporate from the eye surface without symptoms. But if insertion of punctal plugs causes the eyes to "water," one or more of the plugs can be removed. The LipiFlow Thermal Pulsation System (TearScience) is an automated, in-office dry eye treatment that combines the best features of warm compress therapy and meibomian gland expression. Watch a video about how LipiFlow works. The patented device fits onto the eye and also over the eyelids and applies precisely controlled heat to the lids to soften hardened meibum. At the same time, the LipiFlow system applies pulsed pressure to the eyelids to open and express clogged meibomian glands, thereby restoring the correct balance of oils in the tear film to relieve dry eye syndrome. Lipiflow treatment takes approximately 12 minutes per eye. In a clinical study of the effectiveness of the procedure, most patients (76 percent) reported improvement of their dry eye symptoms within two weeks, and patients also showed improvement in the quality and quantity of meibomian gland secretions and the duration of time their tear film remained on the eye before evaporating. In some cases, however, it can take a few months for improvements to become apparent. Typically, the beneficial effects of the LipiFlow procedure last one to three years or longer. Potential side effects from LipiFlow dry eye treatment include corneal abrasion, eye pain, swollen eyelids, eyelid irritation or inflammation, chalazion, transient blurred vision, itching, and red eyes. LipiFlow dry eye treatment typically is not covered by health insurance. Fees for the procedure can vary from one practitioner to another and tend to range from $700 to $900 per eye. For well over a decade, the FDA has approved the use of intense pulsed light (IPL) to treat rosacea on the skin. Rosacea on the skin and eyelid often occur together. Ocular rosacea presents with dilated small blood vessels coursing along the eyelash margin in patients suffering from blepharitis and may contribute to dry eye symptoms. In IPL treatment, a hand-held device flashes bright light onto the skin. The light is filtered to allow only wavelengths that can be absorbed by the dilated blood vessels. The effect of this treatment may be the resolution of the dilated vessels and associated inflammation. Many patients experience relief from their dry eye symptoms and become less dependent on artificial tears and other eye drops to control dry eye symptoms after IPL therapy. For this reason, IPL treatment may be well-suited for dry eye patients who don't want to be troubled by the inconvenience of frequent eye drop use. Patients usually require four to six intense pulsed light treatments, with about one month between each treatment. Typically, the treatments are well-tolerated and are not associated with any down-time. However, prior to the treatment it's important to discuss with your doctor how much time you spend in the sun. IPL treatment generally is not covered by health insurance or vision insurance and it may not be appropriate for patients with certain skin pigmentations. Wraparound-style eyewear with side shields can protect your eyes from moisture-robbing wind and irritating debris. Shown here are Churada sunglasses with removable foam eyecups and Nereus eyewear with removable silicone eyecups. Take frequent breaks during computer use. A good rule of thumb here is to look away from your screen at least every 20 minutes and look at something that is at least 20 feet from your eyes for at least 20 seconds. Some eye care practitioners call this the "20-20-20 rule," and abiding by it can help relieve both dry eyes and computer eye strain. Wear quality sunglasses. When outdoors during the day, always wear sunglasses that block 100 percent of the sun's UV rays. It's best if they feature a wrap-style frame to protect your eyes from wind, dust and other irritants that can cause or worsen dry eye symptoms. The National Women's Health Resource Center has named the top 100 dry eye hot spots in the United States based on information compiled from the National Oceanic and Atmospheric Administration's Climatic Data Center and the Environmental Protection Agency. Factors used in the selection process included temperatures, humidity, wind, altitude, pollutants and ocular allergens. *Cities were tied for these spots. Medication adjustment. Many medicines — including antihistamines, antidepressants, birth control pills, certain blood pressure medications and more — can cause or worsen dry eye symptoms. Even over-the-counter (nonprescription) medications for allergies and other conditions can cause dry eyes. Be sure to discuss all medications you are taking with your eye doctor if you are experiencing dry eye problems. In some cases, adjusting the type and number of medications you are taking may help reduce dry eye symptoms without causing adverse health effects. However, never discontinue a prescription medication without first discussing the matter with your physician. If your eye doctor feels an adjustment to one of your medications may help relieve dry eye symptoms, he or she can discuss it with your physician (or have you discuss it with your doctor) to see if such a change is possible. Treating eyelid conditions. 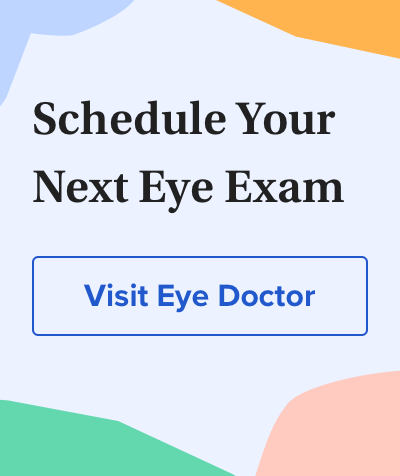 If you have blepharitis, meibomian gland dysfunction or other eyelid conditions, these often are associated with dry eye disease and should be addressed as part of your overall dry eye treatment regimen. For example, if you have blepharitis, your eye doctor may recommend use of an antibiotic and/or steroid ointment or eye drop in addition to daily eyelid cleansing with a non-irritating shampoo. September 2016 — Dry eye affects about 10 to 20 percent of the population, and most of those who have the disease are over age 50. If you work in an operating room, you're at a higher-than-normal risk for dry eyes. But if you work in a "clean room" environment, such as an operating room, you're at even greater risk — as high as 56 percent according to new research that evaluated dry eye prevalence in surgical residents with a mean age of only 27.8 years. Clinicians have long known that activities that decrease blink rate can increase the prevalence of dry eye syndrome. For example, long hours spent at a computer is a well-established risk factor for dry eye. But digital device use isn't the only activity that reduces blink rate, leading to dry eye. A study conducted at Western National Medical Center found that residents of surgical specialties are likewise exposed to risk factors, including decreased blink rate, which cause damage to the eye's surface. As the study explained, operating rooms are enclosed ventilation environments in which doctors and other team members perform activities that require intense concentration and fixation on details, such as using a microscope. The study report appeared in the July 2016 issue of BMC Ophthalmology.